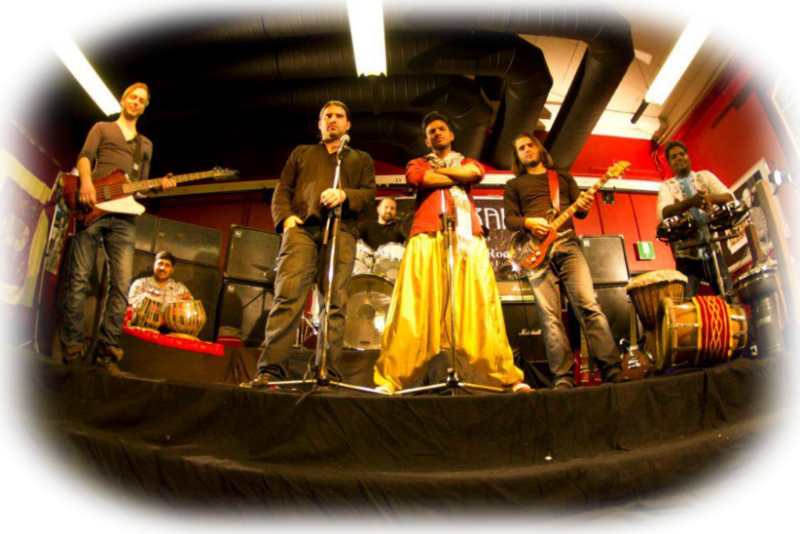 Ashram is an European – Indian Rockband which played three tours in Europe (2007, 2009, 2011) and one tour in India (2011). Ashram played over 70 concerts, produced two albums and made three professional music videos. In 2000 the young members of the Band Fur Balloon – Judy Sepan, Manuel Seidl, Sebastian Obermaier and German Schwarz won the Austrian Newcomer Award in the categories „AUSTRIA's BEST NEWCOMING SHOWBAND“ & „BEST LIVEPERFORMANCE“. Sounds of Indian tablas mixed with guitar riffs, mystic sitar tones and Far East voices embedded in fundamentally western rock grooves – aka “Oriental Rock”, the unique sound of Indian European fusion. The band Ashram came together when Austrian guitarist Judy Sepan travelled to India in 2004 and met Ajaya Gopi (Takil & Indian folks instruments). Fascinated by the sound they were creating during jam sessions, they started to envision a cross-continental band. One year later, they have already toured across Europe for seven weeks, with a huge rock event as the finale.